New York-based visual artist Shantell Martin is known for her stream-of-consciousness drawings and light projections. As an artist she combines the whimsical and autobiographical. 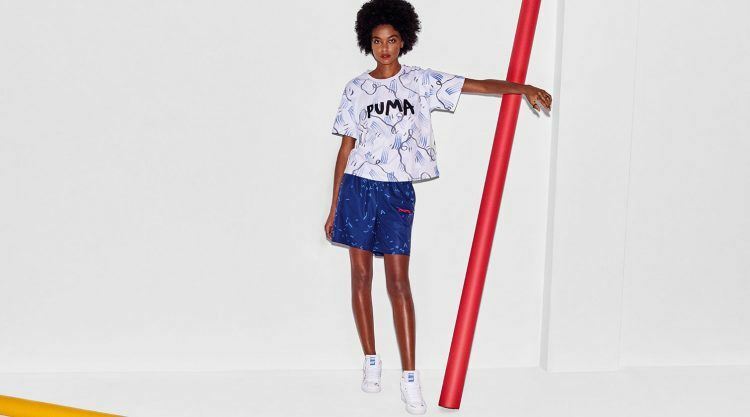 Together with her, PUMA worked on a Spring/ Summer ’18 PUMA x SHANTELL MARTIN collection, combining fine art, performance art and modern street style. The collection’s first drop already launched in February featuring mainly crisp monochromatic looks. 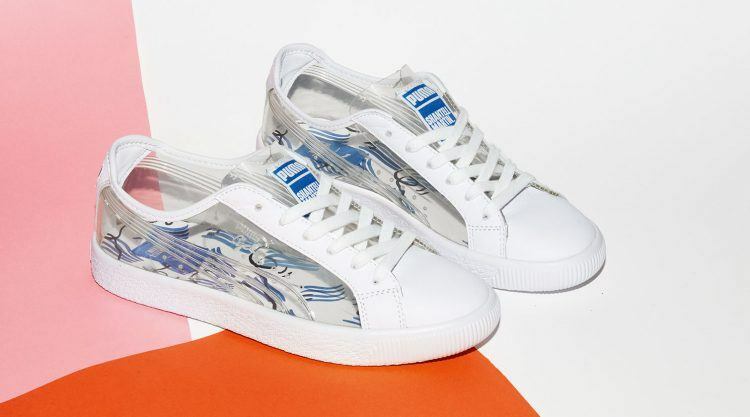 The second drop sticks to Shantell Martin’s signature illustrations and lettering but adds some color. Just in time for summer, the premium material and crisp looks come in white and blue. 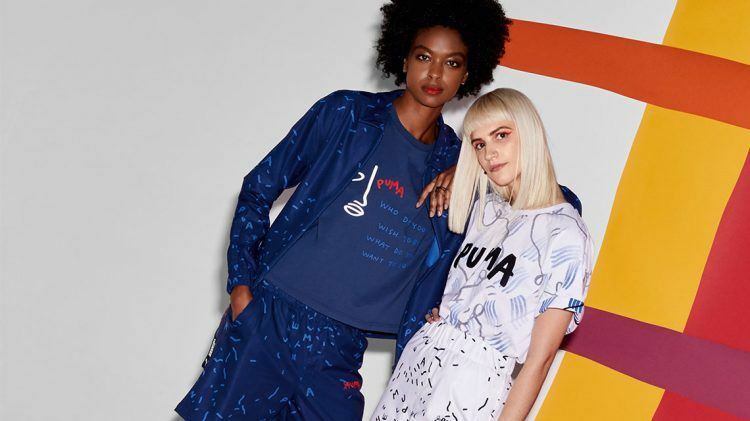 Drawing design inspiration from Shantell’s unique creative DNA and her passion for self-discovery, the collection combines PUMA’s innovative designs rooted in sports with the visual artist’s signature intricate details. I had a lot of fun collaborating with PUMA on our new collection for Spring Summer ‘18. It was cool being able to apply my artistic DNA to iconic PUMA silhouettes, but what I particularly loved about the project was hiding little messages throughout the product offering to make something truly unique. 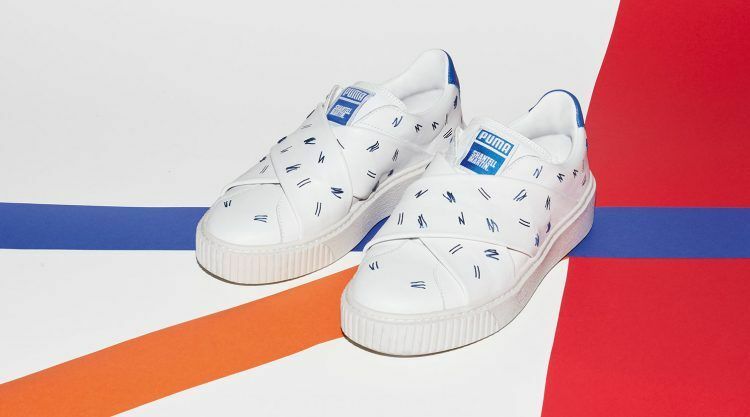 The collection’s footwear silhouettes include the iconic court classics, the PUMA Suede and Clyde, as well as the court inspired women’s offering, the Platform Strap. The classic styles boast matching apparel offerings including shorts and a jumpsuit amongst others creating a bold prodction range. 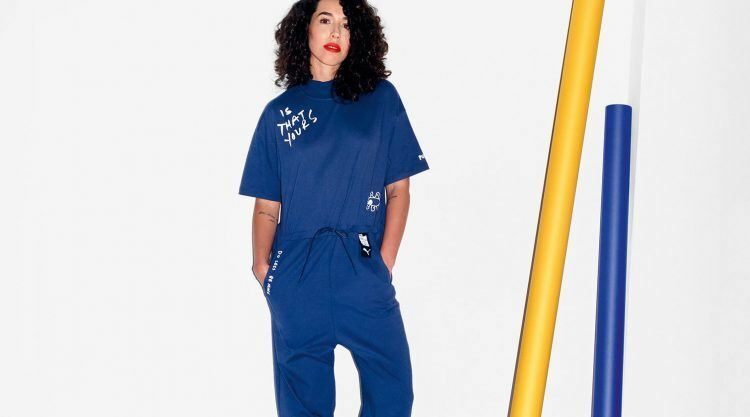 In case you did not find Shantell Martin’s hidden messages in the collection’s first drop, you get another chance to find them in the second one. It releases on April 21, 2018 at PUMA.com, in PUMA stores and premium sneaker retailers worldwide. 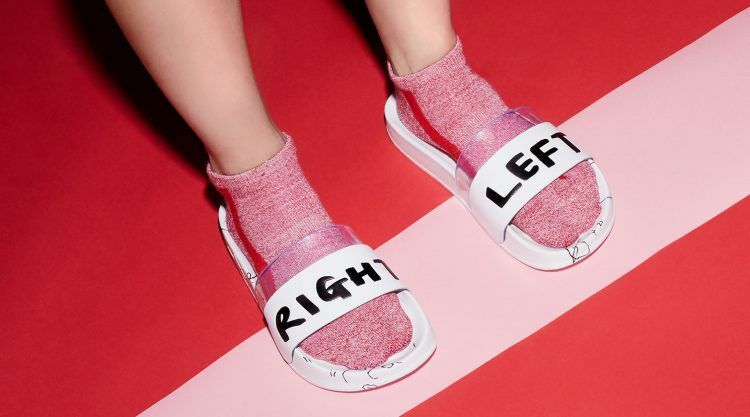 … is a British visual artist based in New York. For her, a work of art is inseparable from its creator and its audience, and art is more than an object of admiration disconnected from the process of its inception. Rather, she sees her work as a vehicle to forge new connections between education, design, philosophy and technology. Ready for Summer Vibes with fresh Shades? The Rapid Response Team has shown like no one else how PUMA can be indeed "FOREVER FASTER"